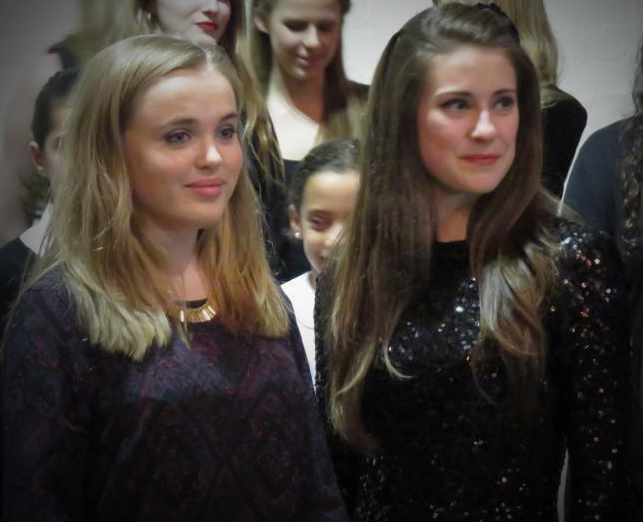 Along with the Harrodian School Choirs, I was also joined by Isabel Suckling as my special guest. She has a stunning choral voice and sung Schubert’s Ave Maria, and Christmas Day; a beautiful song by Robin and RJ Gibb’s which she sang for their Titanic Requiem album. The evening consisted of a few songs to track, as well as songs accompanied by Christina Hizon on piano and Greg Platt Lake on guitar. Stand As One filled the Church in the second half with the help of the Senior Choir from the Harrodian School, making it sound truly epic! Another collaboration was a performance of a new song by Don Black which has never been recorded, it is called How Much Does a Rainbow Weigh? and it was lovely to sing this with the Junior Choir! Isabel also joined me in song and we sang my own arrangement of Walking in the Air; it was an absolute pleasure to sing with Isabel and I felt that our voices really complimented each other. Another wonderful concert on Sunday evening. Mary-Jess sang to a packed church, with support from two choirs (different age groups) from the Harrodian School, and special guest — Isabel Suckling (The Choirgirl). Read more and see more pictures from the evening here.